This timeline is a work in progress and we welcome new additions and entries. If you have information and photographs to share that help to illustrate significant moments in Western Australian’s fishing industry history, please contact us at WAFIC. 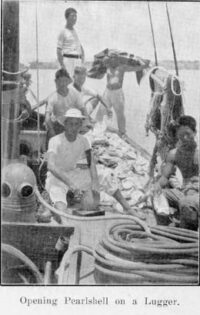 Fishing was one of the first commercial trades established following white settlement in the Swan River colony of Western Australia. Prior to white settlement whaling operations occurred off the WA coast – there are records of American whalers hunting in the region since 1789 and reports that they had operated inside King George Sound (near Albany on WA’s South Coast) before the end of 1828. During the 1890’s, the number of boats and fishermen involved in the industry increased and Parliament created a Department of Fisheries to mange the industry. Compulsory licensing of fishermen and their boats was introduced in 1899 and the following year, 191 licensed boats and 401 fishermen were operating in the State’s fishing industry. The introduction of commercially manufactured ice in the 1890s had a considerable impact on improving the preservation and extending the distribution of fish and also facilitated the introduction of larger boats. Ice also allowed fish to be kept for longer periods, extending its “shelf-life” and making it available for bigger markets. Because of the gold rush the State’s population tripled from approximately 65,000 in 1893 to almost 180,000 in 1900, creating a demand for fish that was strong enough to support a permanent commercial fishing fleet. Fish were distributed first by horse drawn ice carts and could reach the Eastern Goldfields in cool weather, then as the railway network grew linking other coastal fisheries to the metropolitan area, a more rapid and safe way of distributing seafood to goldfield centres become available. 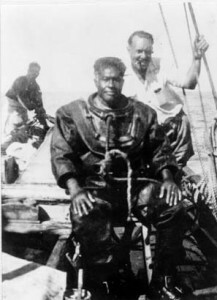 WA’s commercial pearling industry started in the 19th century and was centred in Broome, Cossack, Onslow and Shark Bay – although Broome became the major centre for the industry following Federation. Pearl shell was the industry’s focus in the early days and between 1900 and 1914 WA fisheries supplied between half and three quarters of the world’s supply of pearl shell which was used to make buttons and ornaments, with its main market being the United Kingdom and later the United States. Following the invention and refinement of pearl seeding techniques by Japan in the 1950’s, WA established its first pearl farm at Augustus Island off the north coast of the State in 1956 and then at Kuri Bay, 200km north-east of Derby. By the 1990s there were eleven licensed pearling companies operating on the WA coast in an industry valued at $189million in 1997-98. The global financial crisis hit the industry hard in 2008-09, but it is slowly recovering and is currently valued between $60-$80million annually – making it WA’s second most important commercial fishery by value. The State government built a fish market in Fremantle in 1908. It was run by the Fremantle Council to make money and resulted in disadvantaging the fishers who frequently went on strike against the low auction prices. Towards the end of the 19th century and start of the 20th century, Italian and Greek immigrants settling in Fremantle helped develop the budding commercial fishing industry. It was these fishermen that formed the Fremantle Fishermen’s Co-operative in 1947, effectively marketing their catch of products such as lobsters and finfish and ensuring a viable financial future for their families. A small group of Geraldton fishermen develop the idea of a northern fishermen’s co-operative, with the intention to deregulate the industry controlled by the factory owners, increase returns on their catch and develop greater marketing efficiencies. Over the next few years they raise capital to build an office and processing plant and research new markets – particularly Asia. lobster, and the potential to diversify product offerings. Early trials of whole cooked lobster were sent to Singapore and Japan. 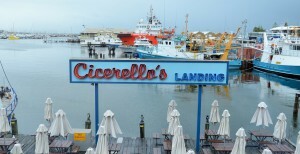 Cicerellos has been a Fremantle landmark since the late 1950s, when Steve Cicerello, whose father Salvatore helped pioneer the crayfishing industry in the Abrolhos Islands. Cicerellos started as a small fishmarkt and fish and chips shop but soon grew into a Fremantle icon. Cicerello’s was sold in 1996 and the modest building demolished to make way for the new restaurant development that faces the harbour to this day. Consumer demand saw commercial marron farming established in earnest in the 1980s with about 200 marron farms established to complement their operators’ other farming activities such as horticulture and livestock. Western Australia produces high quality product some of which is sold into the restaurant market of Europe. Cockburn Sound’s mussel farms began as a wild capture fishery but progressed, like marron, into farmed operations during the 1980’s. The mussels are seeded and attached to ropes, which are permanently anchored in the Sound, minimising the impact on the seabed. With mussels feeding on algae, mussel farming also contributes to preserving sea grass and the health of our local marine environment. Since 1989, the Australian Centre for Applied Aquaculture Research provides aquaculture training through the WA Maritime Training Centre at Fleet Street in Fremantle to students seeking Certificate to Diploma qualifications of the Seafood Training Package. As a by-product of its training programs, ACAAR is able to provide products, consultancy, research and development, and other services of direct practical use to WA’s marine finfish industry. The Western Rock Lobster Fishery becomes the world’s first to achieve independent third-party certification as a sustainably managed fishery by the London-based Marine Stewardship Council. 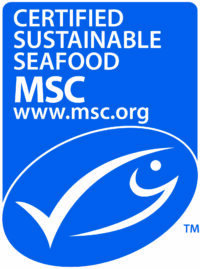 15 Years later the fishery achieves another milestone when it becomes the world’s first to be recertified three times – achieving 15 years of continuous MSC certification. WAFIC, the State Government and Recfishwest – Western Australia’s recreational fishing body – establish a $14.5million partnership to help all of the state’s fisheries undergo assessment by international sustainable fisheries certification body the Marine Stewardship Council. Achieving widely recognisable and credible third party certification program gives consumers confidence and certainty about the sustainable origins of the seafood products they buy from the State’s 45+ commercial fisheries.